Interactive window display prototype created to launch a marketing campaign for the Black Mirror series. Project carried out in a workshop, led by Álvaro Rey from Andtonic, whose briefing consisted of designing an interactive window display proposal for a commercial brand to achieve the user’s engagement, taking him to share his experience on social media. The developed idea seeks to promote Netflix’s Black Mirror series by making users feel they are being monitored, which is the backbone of the series. 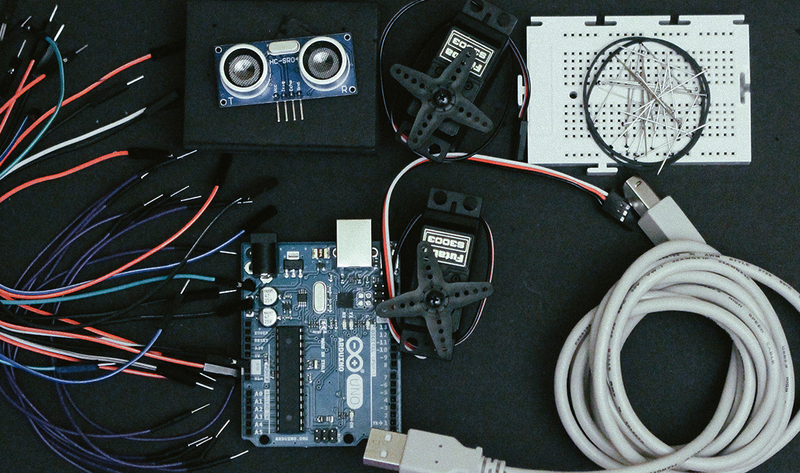 Project developed using Arduino and Processing in collaboration with Mireia Parets.